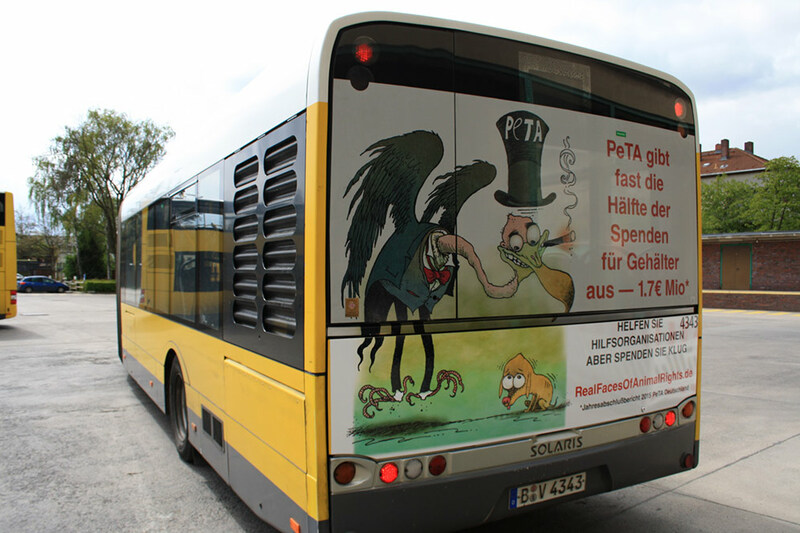 THE FUR industry has launched a major fight-back against animal rights extremists starting with this bus poster campaign exposing PETA for wasting donors’ money.Buses bearing the striking cartoon lampooning PETA will be seen by millions in the German cities of Berlin and Hamburg. For years, the fur industry has avoided targeting anti-groups in the face of abusive and misleading attacks. But in a new initiative, the industry has decided to call out activists on their long history of, “false claims, hypocrisy, greed and intolerance aimed at misleading and bullying the consumer”. The German bus poster launch marks the start of a hard-hitting, world-wide campaign, involving advertising in major cities, including train stations, festivals, newspapers and at other strategic points. 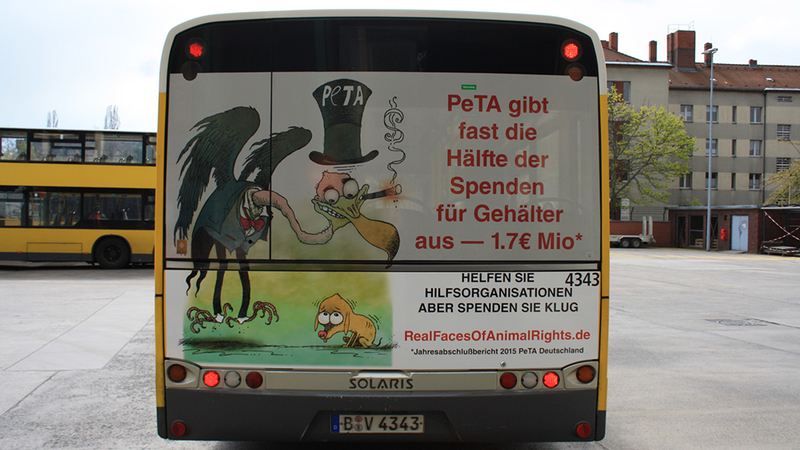 The bus poster campaign is aimed at informing well-meaning donors, who hand over millions in cash to PETA, that much of their money is wasted on staff costs. The provocative cartoon shows PETA in the guise of a cigar-chomping vulture looking down greedily at a starving puppy which it sees as prey. Figures show 42 cents of every euro or dollar raised goes straight into a fund marked, “staff costs”. But they may feel entitled to put their money into more caring charities. Behind the initiative is Mark Oaten, the International Fur Federation’s CEO. “How PETA and other animal rights activists mislead the public is of real concern. 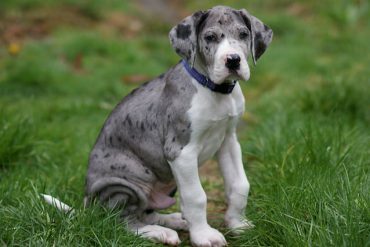 “Few people realise, for example, that in 2016, PETA slaughtered 1,411 cats and dogs. This was almost 72% of the animals which came into their rescue centres in the US state of Virginia. “Many of their donor’s would pull the plug immediately, if they realised all this. “It is time someone called them out and set the record straight. 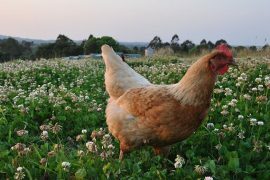 “Animal welfare is close to the heart of every right-thinking person. “But PETA and many of their animal rights groups are not about animal welfare. “They are about a politically driven agenda based on false claims, hypocrisy, greed and intolerance aimed at misleading and bullying the consumer”.